Deal Categories: Gym Accessories.Stores: Amazon. 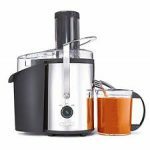 The price on the BELLA (13694) High Power Juice Extractor, Stainless Steel at Amazon. This is currently the lowest price we could find by $10. This juicer features a wide feed tube that can handle fruits & veggies. 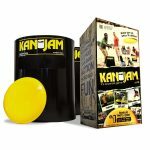 The price on the Kan Jam Ultimate Disc Game, drop from $39.99 to $29.99 shipped at Amazon. Over 1,400 reviewers rated it a 4 out of 5 star rating. Deal Categories: Gym Accessories.Stores: Muscle and Strength. Gear sale at at Muscle and Strength. The price on the Better Bodies Basic Gym Belt, drops from $39.99 to $19.99 . Deal Categories: Gym Accessories.Stores: Walmart. 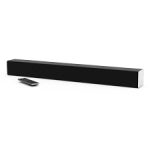 Walmart offers the Refurbished VIZIO 28″ 2.0 Channel Soundbar System (Black) for $39 shipped. That’s the lowest total price we could find by 40 compare to a new one.